Berkshire Hathaway’s recent, highly public move to appoint two internal executives to serve on the company’s board as vice chairs – one of which will be CEO Warren Buffett’s heir apparent– reminds us that process is important when it comes to CEO succession plans. In 2017, over one thousand U.S. CEOs exited their companies. Most of those departures didn’t make headlines, but they did impact millions of workers, consumers, investors and other stakeholders. That means succession planning should be a continuous process and an integral part of a company’s business strategy and corporate culture, and that’s one of the boards primary duties. An ongoing process brings focus, diligence, and expertise to the task of CEO succession and a leadership development program suitable to the organization’s strategy and culture. 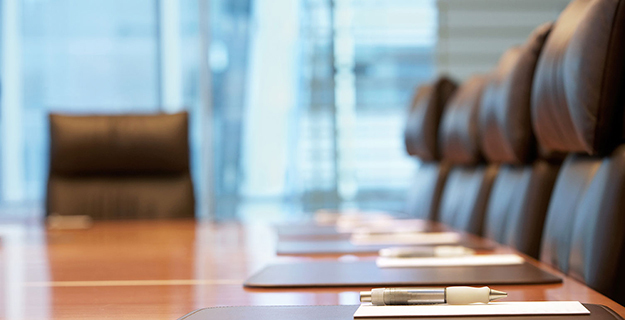 The board must reevaluate the CEO succession plan at least once or twice a year to ensure it remains up to date. Regular reevaluation guarantees that the current strategy is executable in the face of changing market conditions and other challenges. When the time comes to choose a new CEO, the board should have a working list of possible successors, both internal and external, who meet the CEO benchmark. According to research from The Conference Board, in 2016, nearly 86% of newly appointed S&P 500 CEOs were “internal.” Just five years ago, in 2013, the percentage of insiders clocked in at 76%. Boards are making a substantial commitment to grooming internal talent. Companies such as Berkshire Hathaway and Walmart prioritize grooming internal candidates. This is visible in the case of Jain and Abel. These executives have been with the company for a combined 50 years. At Walmart, Judith McKenna was appointed as president and CEO of the company’s international unit recently. McKenna started her career with Walmart in 1996 — over 20 years ago. CEO Doug McMillon has spent his entire career at Walmart. An internal candidate knows a company’s culture and strategy better than any outsider, even one with extensive industry experience. When companies do decide that outside talent would be beneficial to a management team, they should bring in the potential replacement below the CEO level to give that person time to adapt to the company, and give the board time to assess his or her performance. This means the board needs to engage in succession planning and recruitment not only for the CEO, but also for all positions in the senior leadership team, and especially those from which CEO succession could take place. Whether internal or external, new CEOs must engage with the company like they are merging onto a freeway — come up to speed and get into the flow without causing major accidents. Unfortunately, in even the best successions, accidents do happen. A failed leadership transition can harm even the most successful companies. Since it can be a source of business uncertainty, CEO succession and leadership development should be incorporated into an enterprise-wide risk management (ERM) program as the third step to successful CEO succession. By viewing succession readiness as part of the company’s overall ERM process, directors can avoid public missteps during a time of intense stakeholder scrutiny and in an era of increased shareholder involvement. The board should integrate compensation policy into succession planning to ensure talent development and enable relatively seamless leadership transitions. This includes ensuring compensation structures are adequate to retain and motivate succession candidates, and then ensure top performance from the new CEO. When going through the process of choosing a new CEO, boards need to make succession planning as transparent as possible. Internally, candidates should be directly engaged and involved, and understand that they are part of a succession plan. Transparency builds trust and relays to candidates that the company values their skills and experience. Externally, the names of prospective CEO candidates and other sensitive information would not typically be disclosed, but letting stakeholders and shareholders know about the process can stop unintended consequences. It takes time to develop corporate leaders and select the right chief executive. This decision is crucial to the long-lasting success of a business and impacts many stakeholders. All companies should be ready for and manage succession as an ongoing process. Steve Odland is the CEO of the Committee for Economic Development and sits on the board of directors for General Mills, Inc. and Analogic Corporation. Steve is the former CEO of Office Depot and AutoZone.